It was a warm day in Petaluma so what better to do than to get an ice cream. 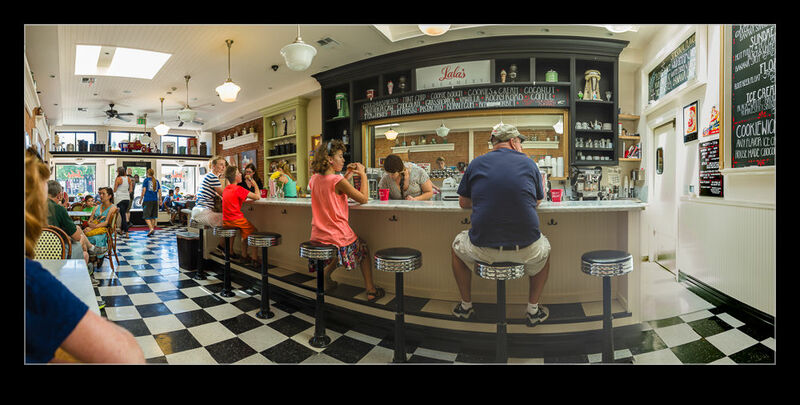 The parlor we visited had a great retro feel to it and, far more importantly, it had great ice cream. So often, the interior of a shop is a poor place to try and get a shot but the light streamed in through the roof and it looked ideal. I couldn’t resist getting a few shots. A quick pano while sitting at our table and a couple of follow up shots before we left could not be avoided! 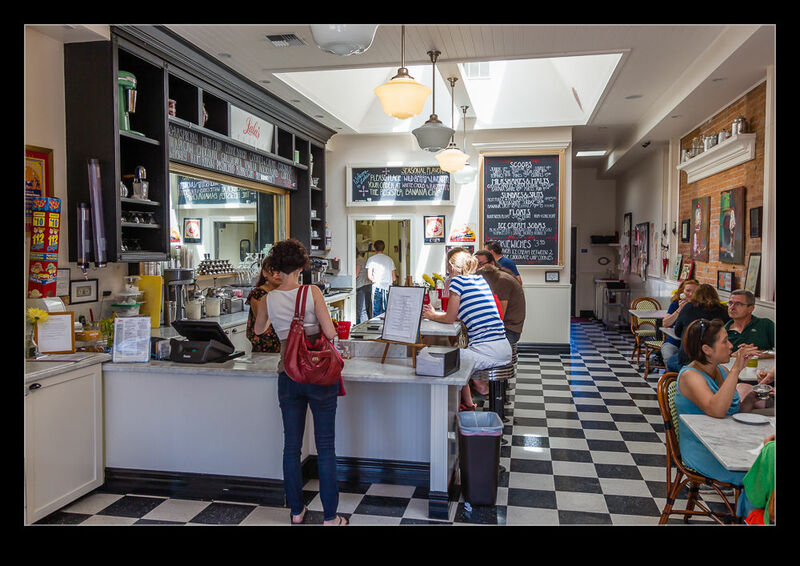 This entry was posted in Bay Area, photo and tagged ice cream, parlor, petaluma, photo. Bookmark the permalink.